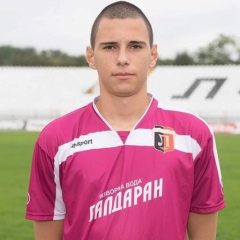 Players Profile: Stefan is a young goalkeeper with good technical skills to catch the ball, to manage the long balls (crosses). He can use both feet to start the game from defence or to clear the ball. He's very secure and is a strong defensive presence for the team.